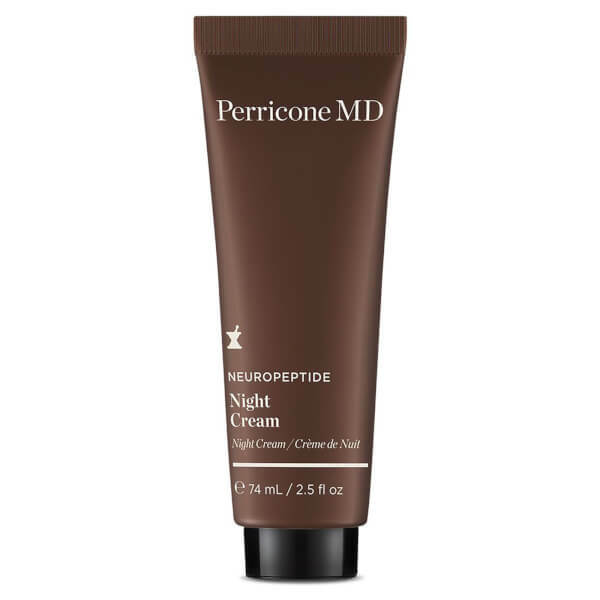 Awake to smoother skin with Perricone MD Neuropeptide Night Cream, an anti-wrinkle treatment that works alongside the body’s natural repair cycle. The silky formula uses DMAE to lift the appearance of sagging skin, replenishing vital moisture deep below the surface for a plumping and firming effect. Meanwhile, Neuropeptides work as building blocks to support the skin surface and strengthen it against the damage caused by environmental aggressors. Helping to brighten the skin tone and banish dark spots and discolouration, the nourishing night cream reveals smoother, firmer and more radiant skin by morning. Massage onto cleansed face and neck in the evening using a gentle upward motion. 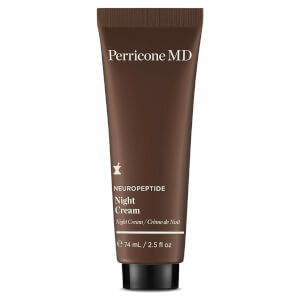 Wait until fully absorbed, then follow with your favourite Perricone MD moisturiser if necessary. Water/Aqua/Eau, Glycerin, Isononyl Isononanoate, Pentaerythrityl Tetraethylhexanoate, Cetearyl Alcohol, Butyrospermum Parkii (Shea) Butter, C12-20 Acid PEG-8 Ester, Dimethyl Isosorbide, C10-18 Triglycerides, Isodecyl Salicylate, Butylene Glycol, Hydroxyethyl Acrylate/Sodium Acryloyldimethyl Taurate Copolymer, Squalane, C12-15 Alkyl Benzoate, Dimethicone, Polymethyl Methacrylate, Dimethyl MEA, Acetyl Hexapeptide-8, Pentapeptide-18, Tetrapeptide-21, Dipeptide-2, Palmitoyl Tetrapeptide-7, Palmitoyl Hexapeptide-12, Tyrosine, Tocopheryl Acetate, Dipotassium Glycyrrhizate, Hesperidin Methyl Chalcone, Ceramide NG, Fructose, Allantoin, Trehalose, Maltose, Glucose, Sodium Hyaluronate, Citric Acid, Sodium Hydroxide, Disodium EDTA, Sodium Chloride, Steareth-20, Polysorbate 60, Caprylyl Glycol, Tribehenin, Coco-Glucoside, Pentylene Glycol, Hexylene Glycol, Urea, PEG-10 Rapeseed Sterol, Sodium Lactate, Sodium PCA, Phenoxyethanol, Potassium Sorbate, Fragrance/Parfum, Linalool, Limonene.